used to promote the breed and conservation efforts. A useful tool for you and your fiber clients! The front of this card gives you plenty of space to include your farm information and fleece description. 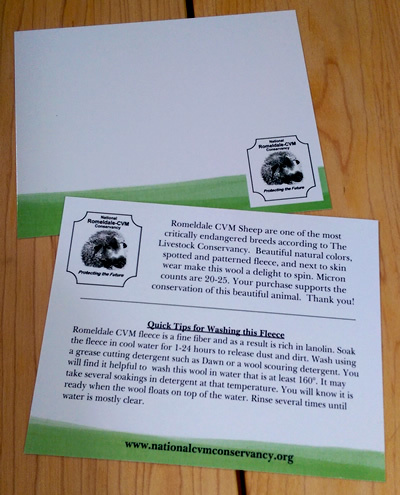 On the back of the card your client will find a brief breed introduction and tips on how to successfully wash their new fleece. Plus they now have your farm information on hand for buying their next fleece! Card measures 5.5" X 4.25" and is printed on glossy cardstock.